What’s at the center of these circles determines the kind of life you have. What if these circles represented your small group? Who’s on the throne there? content-centered (focused on curriculum or a certain study or author)? challenge-centered (focused on a group member’s or the group’s issues)? There’s nothing wrong with any of these, of course, but a healthy group is focused on Christ and his presence, power, purposes, and plans. 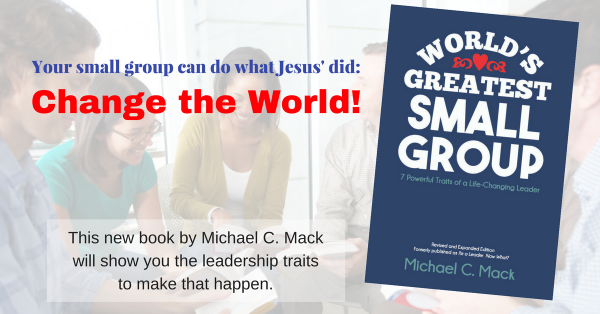 These show how a group should form, and in my new book, The Pocket Guide to Burnout-Free Small Group Leadership, I discuss in much more depth how a group can form or re-form around Christ. This is, I believe, “central” to a healthy, strong, growing small group. Why do so many small groups fail to bear much fruit? Because we’ve been focusing on a lot of other things rather than Christ. Jesus promised that whenever we gather together in his name, or for his purposes, he will be there among us (Matthew 18:20). And if he is among us, he will bring transformation. And if his purposes truly are our purposes, we will be making, baptizing, and teaching disciples. And if he is present, his power will be at work in unexpected ways; he’ll do more than we can ask or imagine in and through our groups! How are you doing at making Christ’s presence real in your group(s)? How are you keeping him at the center? How are you staying focused on him and his purposes for you? I liked the embryo concept of life group development. The dynamic of becoming more christ-like as an individual is vitally linked to being a part of a group who is intentional about becoming more christ-like. The only way to experience christ fully is in the context of experiencing him with others.